We are a community supported organization. Another way of saying that is: we can’t do this without you! The Power of Peace Project relies on the passion, participation, and generosity of people just like you to accomplish our mission. Together we can make a difference and bring hope, change, and healing to the world through the next generation. Currently we are launching our POPP Scholarship Drive for schools in the Atlanta area. 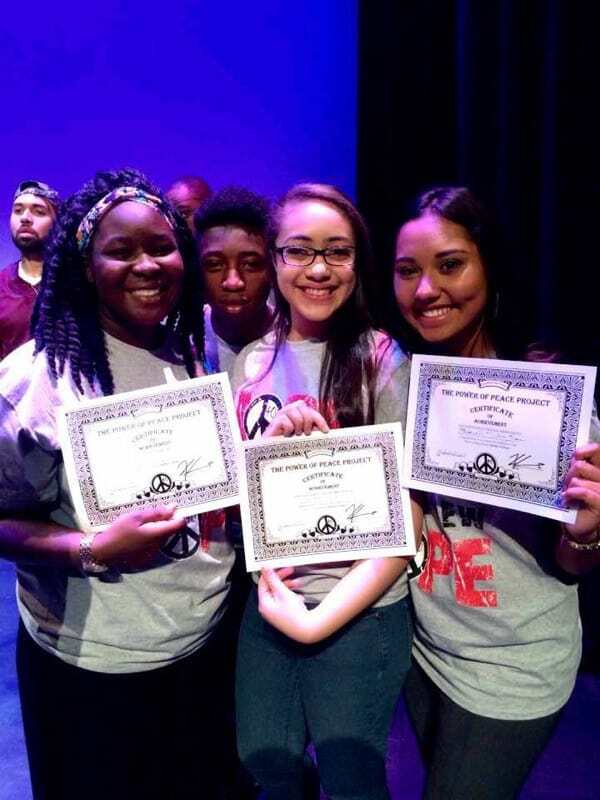 Many of the schools that we serve cannot afford to pay for our life-changing POPP teen programs, so we are going straight to the communities where these kids live– right here at home in OUR OWN communities. These are our kids, and they are the future. We are currently raising funds to sponsor 100 more athletes through our “Protect the Dream” program to raise up positive role models in four more high schools in the New Year. These students of influence are “Changing What Cool Looks Like” in their hallways and classrooms, and modeling positive behavior among their peers– who ARE paying attention and following their lead. You can personally change the world by changing ONE young person’s life at a time. 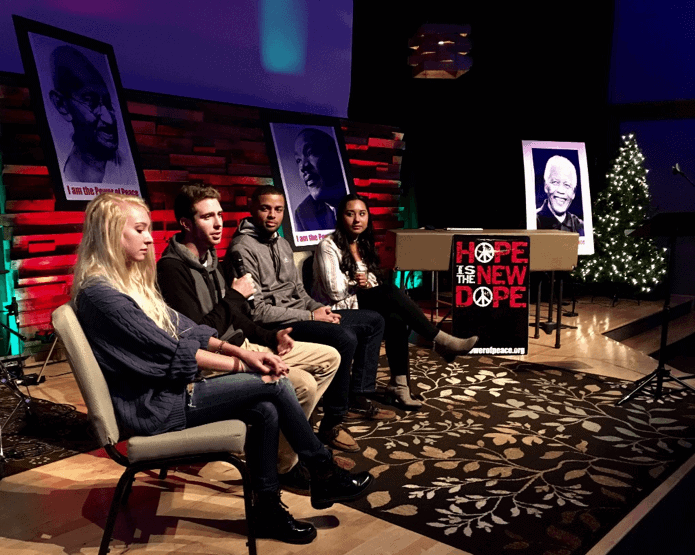 The Power of Peace Project has recently kicked off a new youth initiative in high schools (ages 13-19). Our mission? To eliminate violence, which comes in the form of cyber-bullying, unhealthy relationships, drug and alcohol abuse, objectification, disrespect, and self-harm among this beautiful, but often times misguided Generation Z. These “Dream Killers” CAN be avoided and eradicated, but we need your help. Our teens need a big dream, a big why, effective tools, and new role models– and that’s what we do. You can sponsor a young person through our “Protect the Dream Campaign” (eight-week Character and Leadership Development Program) for as little as $125. How many young lives can you impact? Please get involved today, and tell a friend. Please give what you can– every little bit goes a long way! 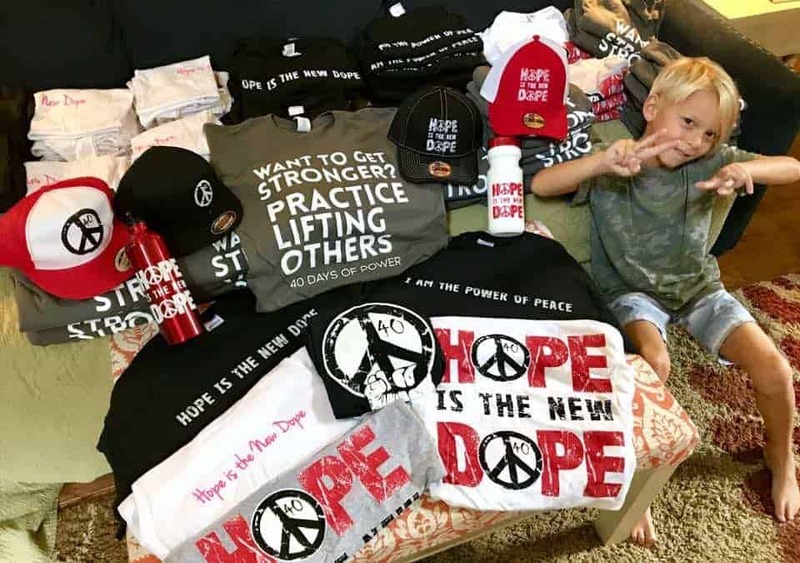 Every individual who sponsors at least one teen receives a POPP gear kit, with items like the ones pictured here… Hope is the New Dope, and YOU are the Power of Peace. Thank you for your continued support!